One of our most enjoyable activities is to sing for our or your loved ones on Valentines Day or other special occasion. 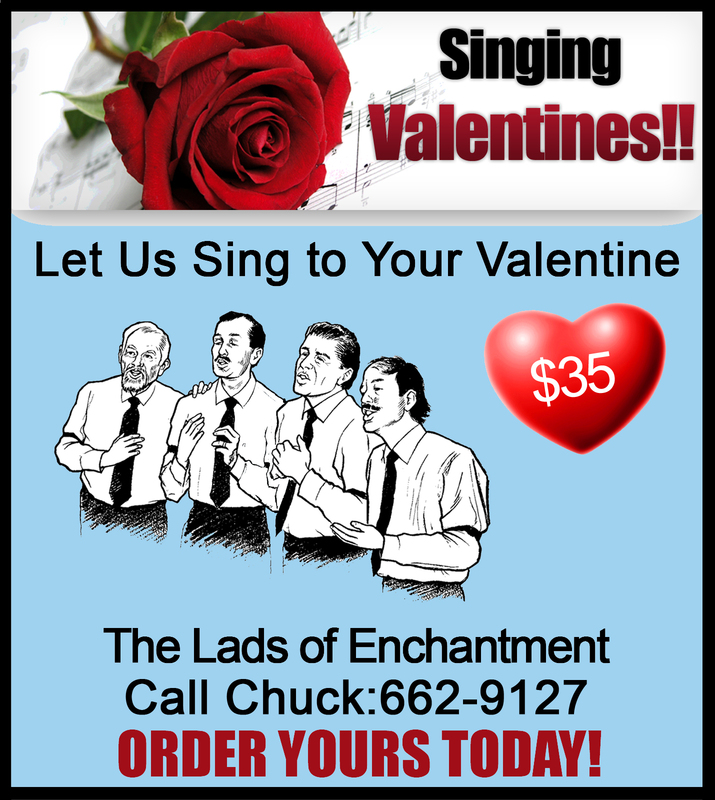 On Valentines, a Lads of Enchantment quartet will come to your home, business, or work. The quartet will sing three songs and present your Valentine with a rose. For other occasions, please contact the LOE by calling Chuck, or contact us by e-mail from this web site.